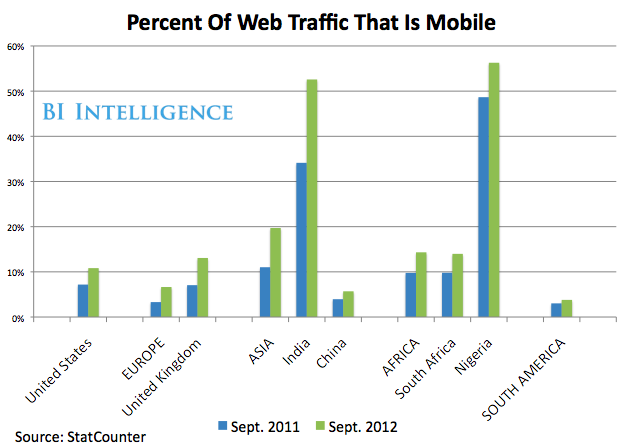 Smartphones and tablets continue to drive an increasing share of e-commerce traffic. According to Monetate, mobile accounted for 18 percent of e-commerce traffic in the third quarter, up from 8 percent a year prior. Smartphones drove a larger share of traffic than tablets, which reflects their increased penetration and perhaps the popularity of “showrooming,” when consumers use their smartphone in-store to compare prices. Retailers, both online and brick-and-mortar, have to heed consumers’ changing shopping habits. According to IBM, mobile accounted for 16 percent of Black Friday online sales this year, up from 9.8 percent a year ago. 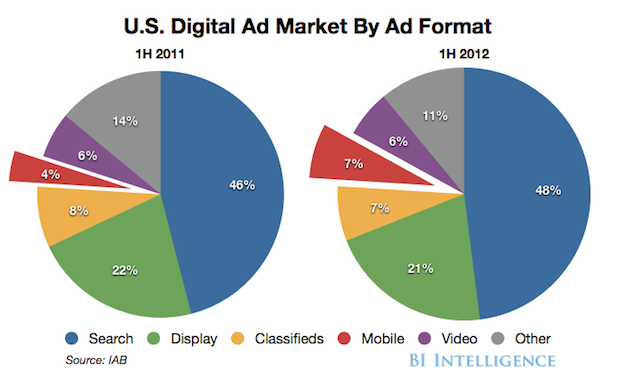 Mobile almost doubled its share of the U.S. digital ad market through the first six months of the year. According to IAB, U.S. mobile ad revenues were $1.2 billion in the first half of the year and 7 percent of total U.S. digital ad revenues, up from 4 percent a year prior. 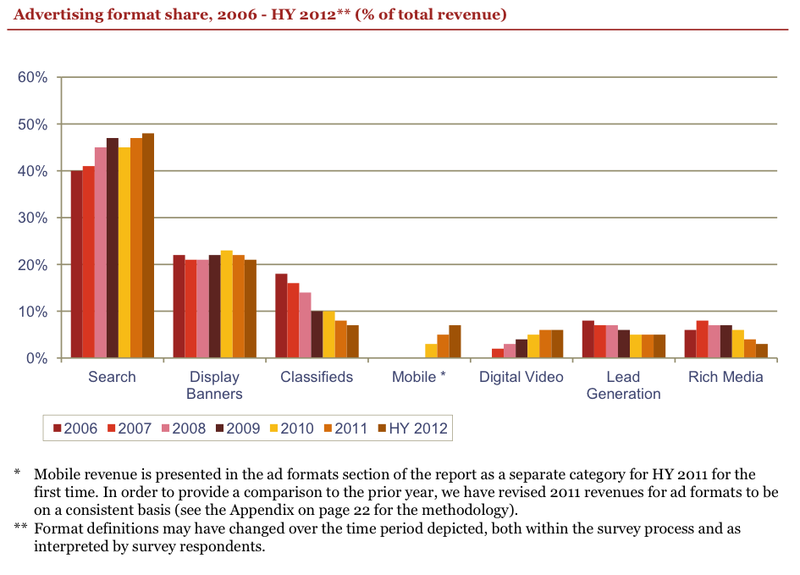 Total 2011 U.S. mobile ad revenues were $1.6 billion, according to IAB. 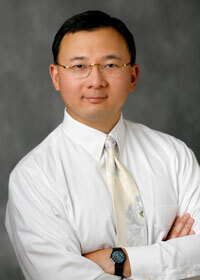 Half-year revenues of $596 million were about 38 percent of the year-end total. 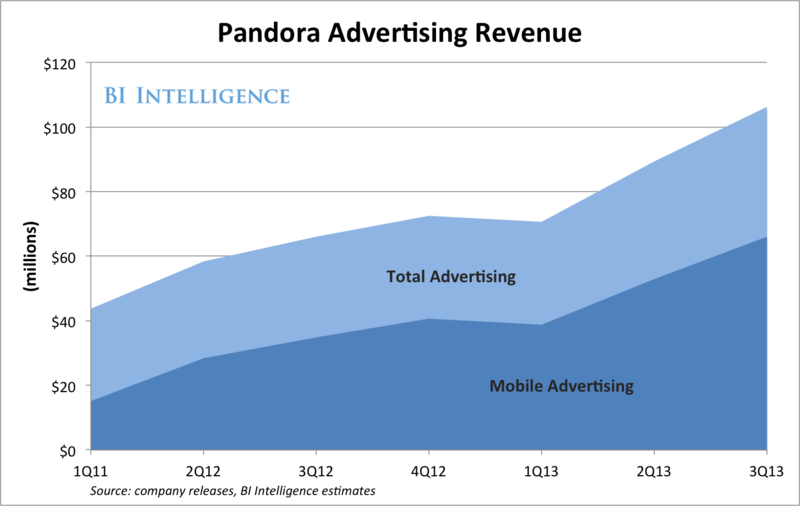 Holding all else equal, if the U.S. market grew at the same rate this year, 2012 mobile ad revenues would be $3.2 billion. 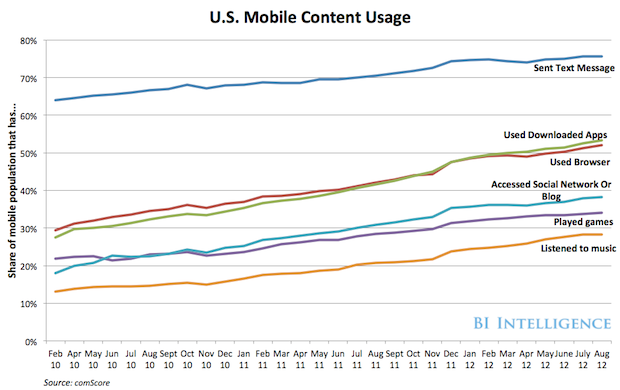 The rise of smartphones continues to push U.S. mobile content use higher. According to the latest comScore numbers, mobile apps and web browsers were the biggest winners, notching 12 and 10 percentage point gains in the past year, respectively. As we discuss in our mobile usage report, much of this activity is additive. For example, while some mobile Internet use certainly cannibalizes desktop browsing, much of it would not have happened without smartphones. However, smartphone penetration in the U.S. will begin to slow as we cross the 50 percent threshold, which means that growth in mobile content use will temper as well.